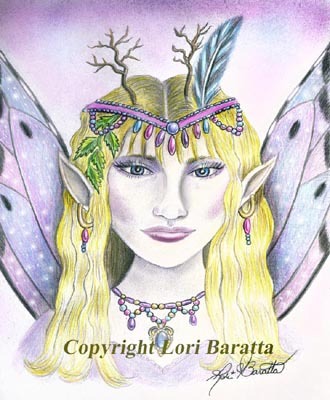 In this installment of the Niteblade art blog, I’m pleased to present a few samples of the mythical and magickal art of Lori Baratta. 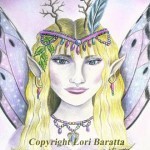 Hailing from the mystical Catskill Mountains, Lori is a full-time professional artist and illustrator. 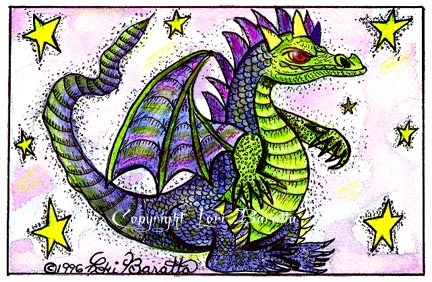 Her works have graced the covers and interior pages of tomes such as The Wicca Handbook and A Witches Book of Answers, as well as various magazines and catalogs. 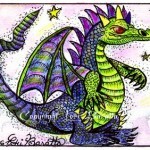 Her art also appears on various products, including stained glass items, reference charts, decorative and spell candles, tarot bags, and note cards. 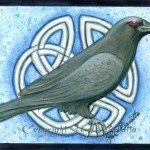 Interested in myth and fantasy since she was a wee lass, Lori delves deeply into the historical, religious, and cultural importance of any symbols used in her metaphysical artworks. 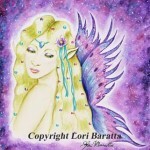 Possessing a great love of colour, Lori utilizes various media to create vibrant compositions. 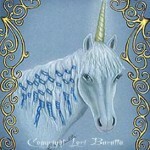 In addition to her mythical and New Age designs, she also produces commissioned portraits and contemporary fine art. Examples of her work can be found hanging in various public and private collections. 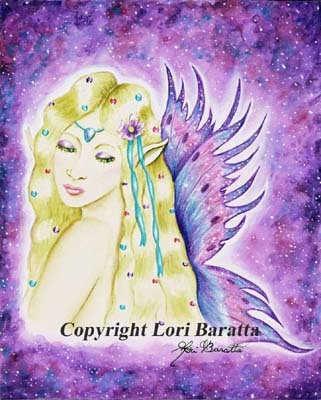 Products featuring Lori’s designs can be found at Lori Baratta Artworks. It was my distinct pleasure to meet and hang out with Conrad Williams at the World Horror Convention in Winnipeg. 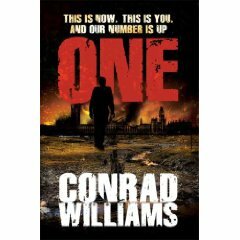 I was also lucky enough to be one of the first people to claim a copy of his newest novel, One. As it turns out he sold out and had to take mail orders, but I snagged one before that happened. It gave me something to read on the plane back to Edmonton, and I devoured it. You can check out my review on my personal blog. Your work, at least what I’ve read of it, tends to deal a lot with delusions and insanity. Is that something you’ve always been interested in? I think horror fiction certainly lends itself to these subjects. Insanity certainly hovers at the margins of my latest novel, ONE. It can’t be avoided. End of the world, uncertainty, fear. Insanity can’t be far away. I like to explore the limits of endurance that people suffer before they crack. I think we’re a pretty hardy breed and can deal with most things that nature throws at us, but that borderline where enough is enough, it’s an interesting place to tread, creatively. When I finish one of your stories, I am compelled to go back and re-read it again. Not because I don’t understand it, but because I feel like there are layers upon layers and that it will take several reads to really excavate them all. Do you know if other people feel that way, or am I over-thinking things a bit? Readers who are also writers go back over stories they’ve enjoyed or found interesting because they’re fascinated by the craft. They want to see the nuts and bolts, how it’s been done. And also what they might have missed. There may be different levels, there might even be levels that the author wasn’t thinking of when he/she wrote it but the reader interprets for him/herself. Are the myriad of layers a conscious decision or simply something that comes from your personal writing style and choice of subject matter? You want the story to be as rich and meaningful as possible, without miring it in too much ambiguity or signposting it to death. I think it’s sometimes best to simply write the story you want to write and hope that any deeper meaning comes about serendipitously. 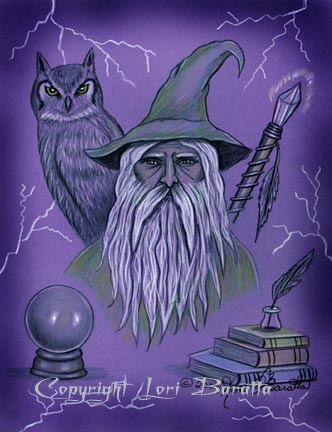 What writers or books do you think have influenced you the most? Early Stephen King (The Shining means a lot to me). Peter Straub. Ramsey Campbell. Derek Raymond’s Factory novels. Treasure Island. Graham Greene. Ray Bradbury. 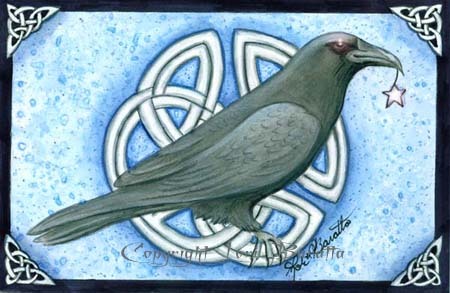 Patrick McGrath. Christopher Priest. M John Harrison. JG Ballard… Too many to mention, really. Who is the favorite character you’ve ever created. Why? I quite like MacCreadle, who appeared in the first story I sold to an anthology. 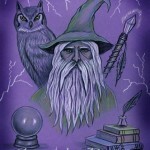 He played a major role in my first novel, Head Injuries, and has had a cameo in each of the novels I’ve written since. He’s a mixture of school bully, nightmare legend and tragic failure. Looking back on your writing career thus far, what are you the most proud of? I’m honoured to have won a couple of awards. The International Horror Guild Award was special because Stephen King, one of my heroes, was on the shortlist too. Having that thing on my desk is a great confidence booster. I want to write lots more novels and stories. I want to be writing into my 70s, like Ray Bradbury and JG Ballard. Have you any words of advice for aspiring writers? Never stop. Listen to what is in you. Don’t take no for an answer. Many writers find writing to be a very solitary and isolating occupation. Do you agree? If so, what do you do in order to counter that? It’s necessarily solitary. I listen to music while I write. And I make sure I get outside for some fresh air, especially if it isn’t going well. Decay Inevitable is published by Solaris in the summer. It’s a story about what goes on at the threshold between life and death. And I’m working on a new novel concerning a pilot and a nurse. That’s all I’m saying! Thank you so much for the interview Conrad 🙂 If anyone is interested in learning more about Conrad and his work you should check out his website by clicking the banner below. I loved this book. Not only does Breathers have zombies it’s funny, romantic and has something to say. Mostly it’s just a lot of fun to read and I devoured it. While at the World Horror Convention, S.G. Browne signed an extra copy of Breathers for me, and I will be giving it away to a lucky Niteblade reader. The table of contents for the June issue of Niteblade, Of Warmth, Of Dragons, has been finalized and it’s going to be a great one. The online version of the June issue, like the March issue before it, will take the form of a wordpress blog. However, during the month of June any comments left on the blog will be considered entries into a draw for the signed copy of Breathers. Also, purchasing the .pdf version of the June issue will be considered five entries into the draw. A winner will be chosen on July 1st from all the entries. So a great line up of stories, poems and book reviews, plus a chance to win a signed copy of a fantastic zombie novel. Niteblade is totally the place to be this June! Mark the first on your calendar, you won’t want to miss this. The latest fantasy series from Jim C. Hines features three princesses – Danielle (de Glas) Whiteshore, Ermillina Curtana and Talia Malak-el-Dashat. The stories that circulate around Lorindar about Cinderella, Snow White and Sleeping Beauty are based on fact but the true tales do not have happily ever after endings. 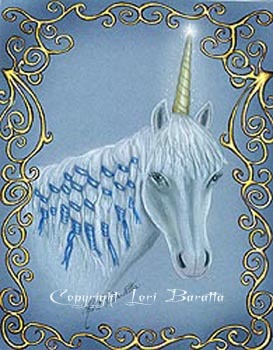 This first book in the Princess Novels takes place several months after Danielle’s wedding to Prince Armand of Lorindar. If one overlooks the pigeon attack against Danielle’s stepmother and stepsisters, the wedding was perfect. The book reveals the stepsisters’ plan for revenge and sets up future adventures for the princesses. The Little Mermaid and Little Red Riding Hood will appear in the next two novels. For now, the princesses must travel to Fairytown to rescue Prince Armand and defeat the stepsisters, Charlotte and Stacia. An exhilarating read, Hines combines a detailed plotline with fully developed characters. Upon rereading the first few chapters, I found cleverly hidden clues to explain how Stacia and Charlotte can suddenly wield magic. The action takes place at breakneck speed and I found myself rereading some passages to fully appreciate the artistry behind the chosen words. Hines includes humor and political intrigue with the action. For instance, Lorindar’s Queen Beatrice and King Theodore have spies who work separately from each other. Queen Bea, as the princesses call her, has saved the life of King Theodore many times and not always with his knowledge. The politics between Lorindar and Fairytown can be problematic and provides another obstacle for the princesses to navigate in their search for Prince Armand. The content of The Stepsister Scheme has a dark tone at times so don’t pick up this book expecting to read the adventures of Disney Princesses to younger children. Though the messages of empowerment and female camaraderie are important it’s probably best to read this one for yourself before deciding whether or not your children should read it. For now, I’m counting down the months until The Mermaid’s Madness is released.